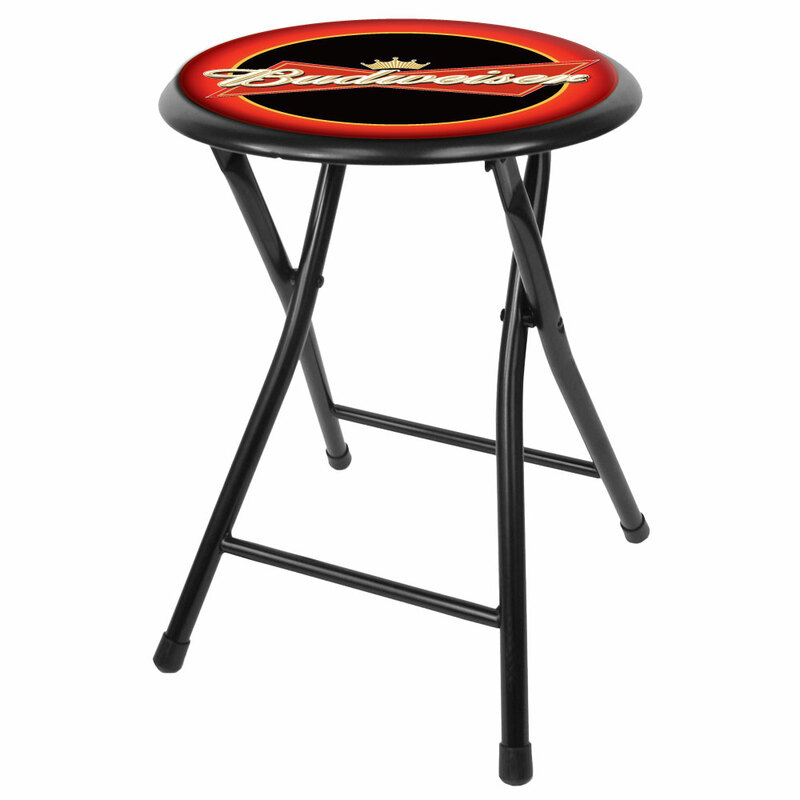 Having some friends over for the big game, but limited on seating? 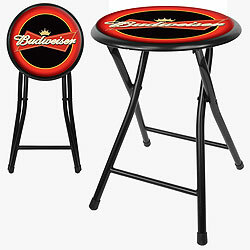 Looking for an inexpensive way to add seats without taking up a lot of room or wasting money on renting? Well this Budweiser 18 inch cushioned stool is the way to go! 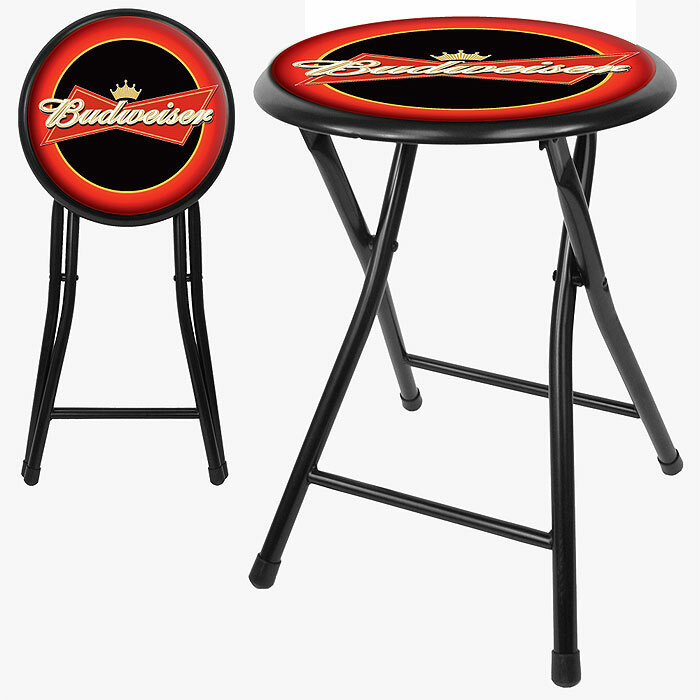 Impress your friends with your comfortable Budweiser branded stool. Measures 14 x 15 x 18 inches opened and folds down to 12.5 x 29 x 2 inches (length x width x height).